Before I even show you swatches, I want to apologize for my cuticles. My hands have been SO DRY lately that no matter what I do, I can't get my hands moisturized. Please excuse them! 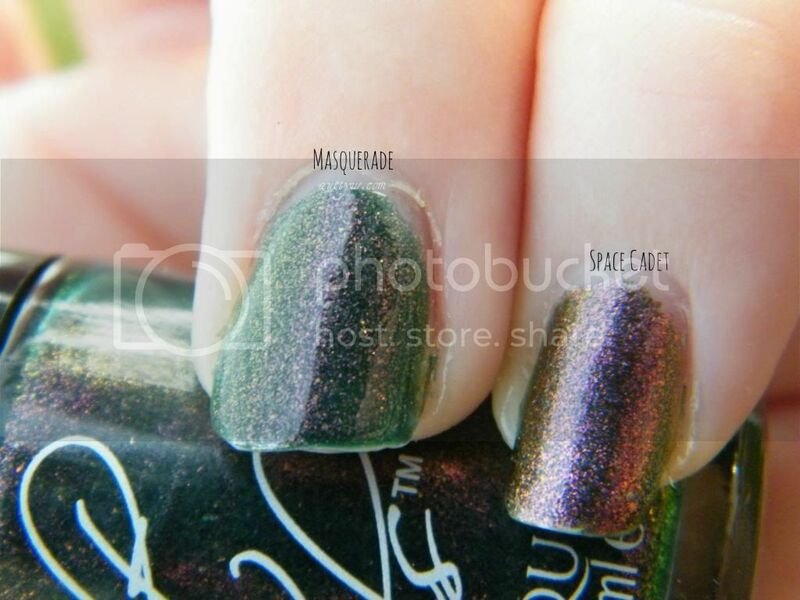 Cult Nails Masquerade is a green jelly base with duochrome purple-ish pink to gold shimmer. It's sheer at first but is definitely build-able. 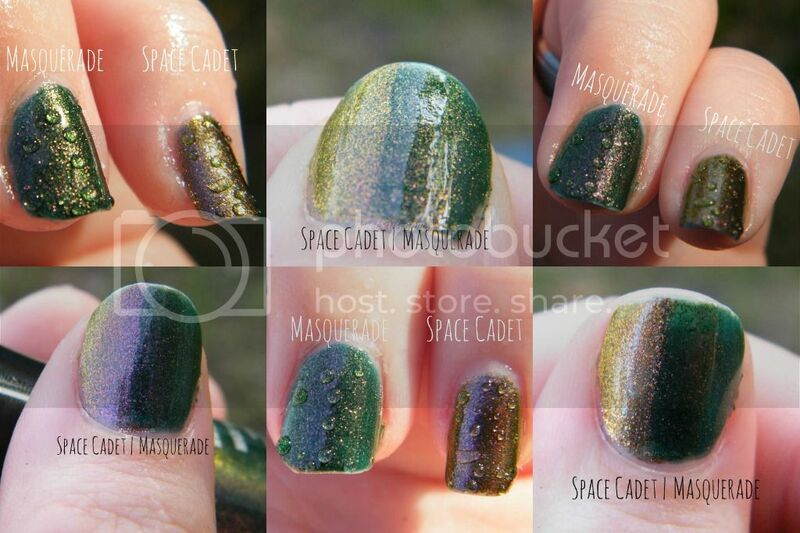 ORLY Space Cadet is a green based mutlichrome with strong purple-ish pink, gold and green shift. If you look very closely this also has a blue shimmer to it. Is it just me or has Space Cadets colors been kind of changed? My first bottle of SC had more of a green base then this newer bottle (bought in July) has. Hm weird. 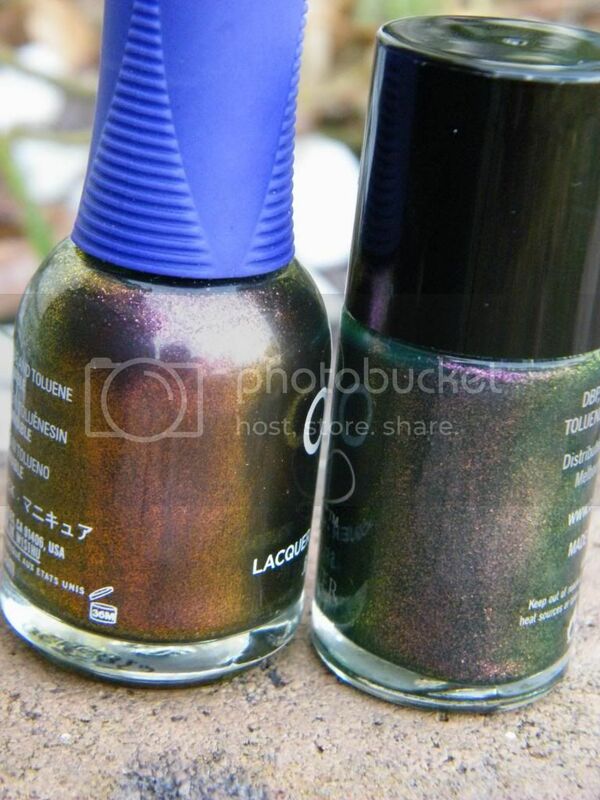 Both formulas are fantastic and both polishes are absolutely gorgeous. I can't pick a favorite out of the two! 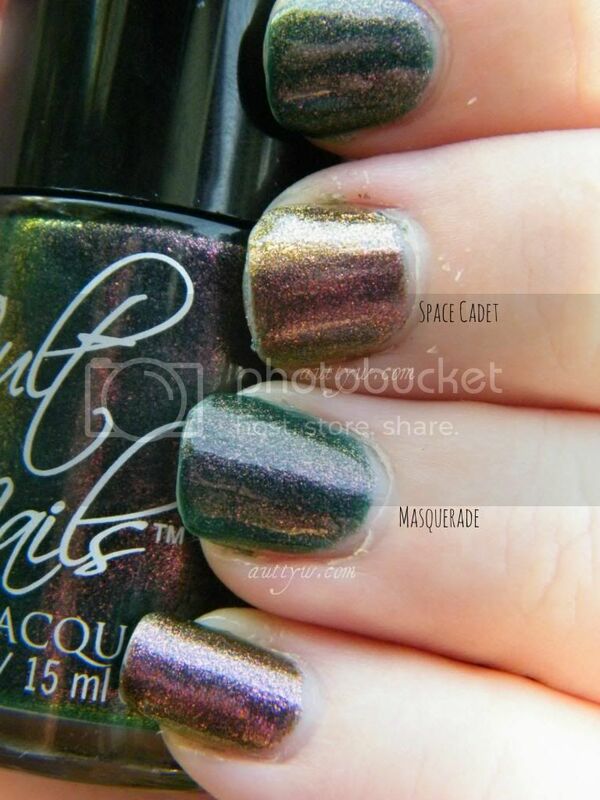 Disclaimer;; Cult Nails Masquerade was given to me as an anniversary gift by the lovely Maria from Cult Nails. 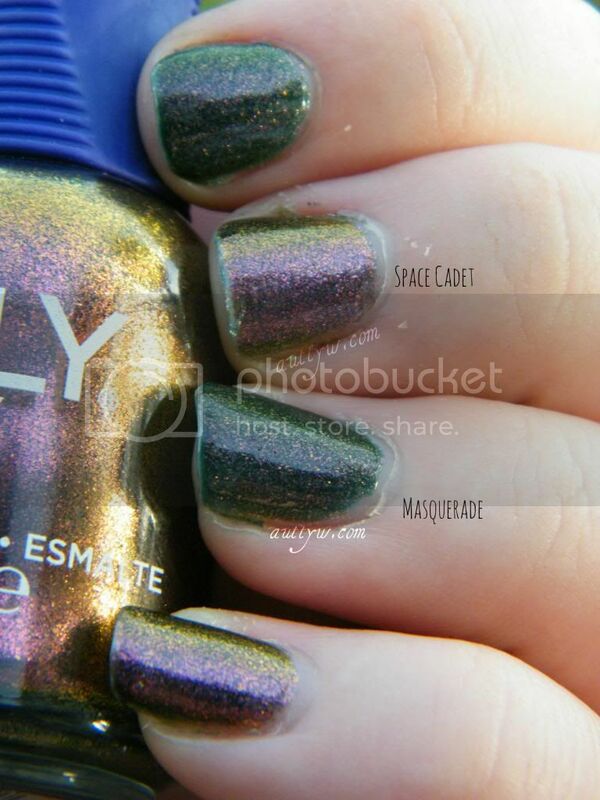 ORLY Space Cadet I purchased with my own money. I love both of these polishes! They are gorgeous. 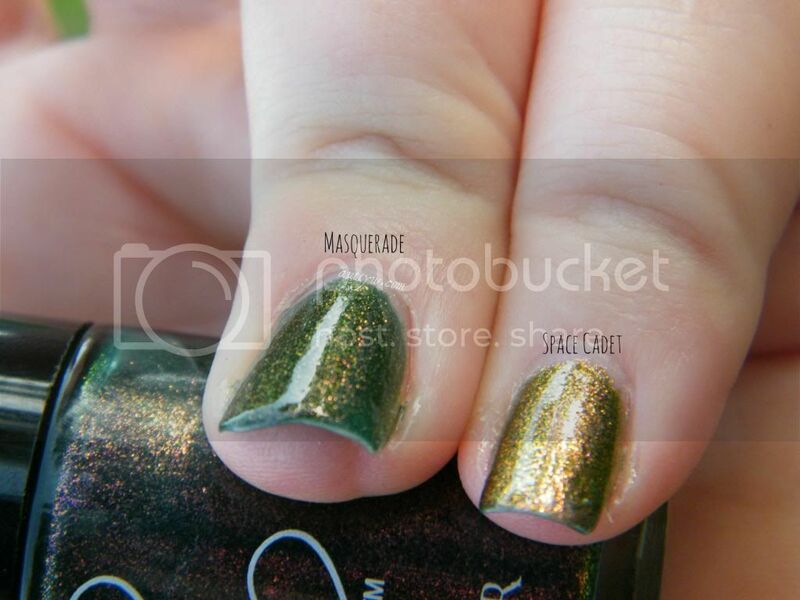 Every polish that I see like it I instantly want! I think ILNP has one and I'm dying because I really want it.